What could beat receiving an exquisite ribbon-wrapped red Cartier box for Christmas? 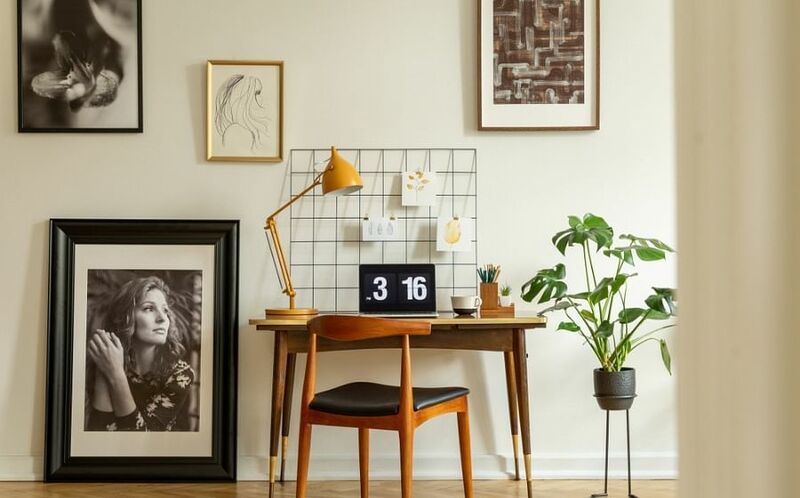 Not much, especially if it contains a timeless piece from the Love, Panthère de Cartier or the Juste un Clou collection. 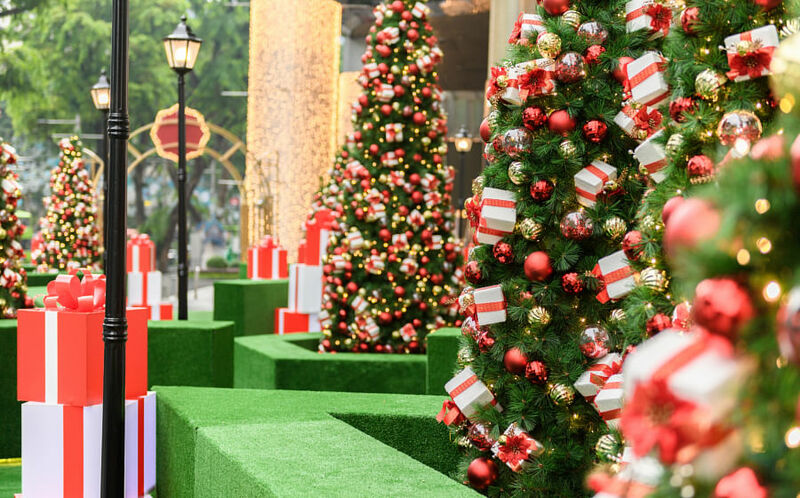 But for shoppers at Ion Orchard, they are in for an extra treat this Yuletide season. A sparkling Cartier ferris wheel installation and interactive maze of Christmas trees and over 800 beautifully wrapped gift boxes are bringing some extra festive cheer right outside the shopping mall. 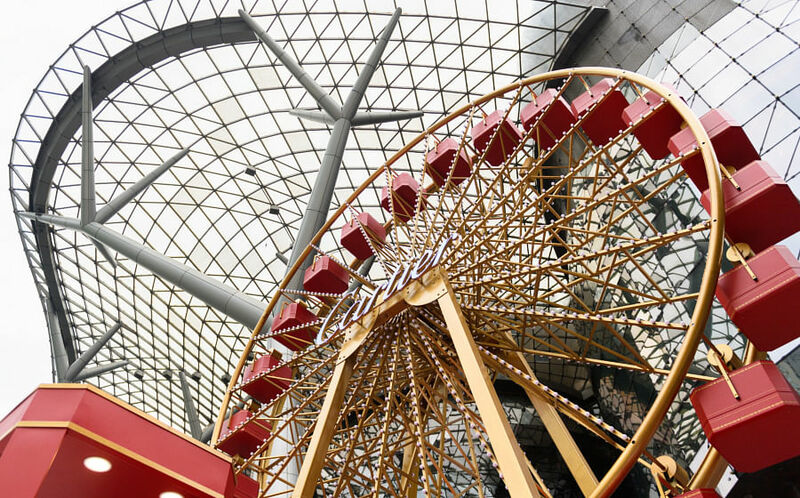 The pièce de résistance at ION Orchard is the 14-metre Cartier ferris wheel installation. It is the largest decorative ferris wheel in motion in Southeast Asia and is built to resemble Cartier gift boxes and made with 2,688 flashing light bulbs. 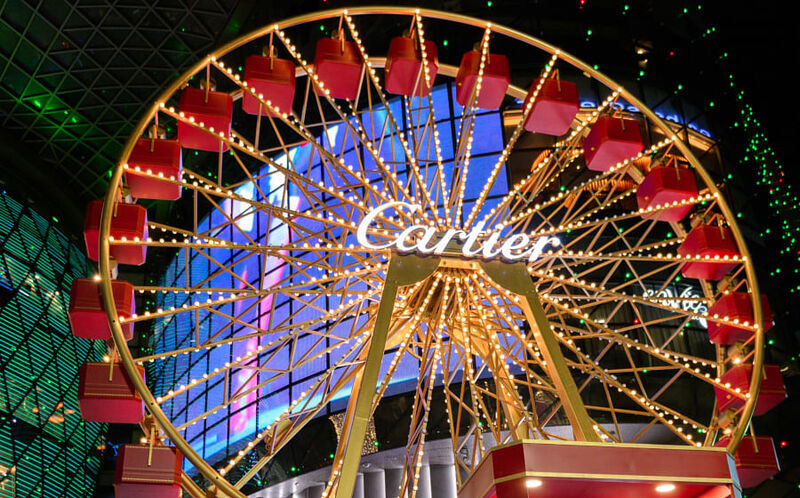 Shoppers will have the opportunity to strike a pose and take a complimentary kaleidoscopic picture or fun GIF in the Cartier carriage at the base of the ferris wheel. What is Christmas without decadent treats? At the Christmas event, visitors can also get their hands on a selection of ice creams as they soak up the festive atmosphere. After a break from shopping, shoppers will also be treated to an exciting line-up of entertainment that is sure to spread Christmas cheer. Inspired by the world famous dance group “The Rockettes,” the ION Sparklers will light up the festive season with their performances of Christmas classics. Other highlights include musical performances by the Roving Brass Band that blends jazz, funk, Latin and hip-hop styles with traditional New Orleans brass sounds. Adding to the festive atmosphere is a live Juke box helmed by the group, Overdrive, belting out Top 40's and rock music hits, evergreen classics and more. While the likelihood of experiencing a white Christmas in Singapore is merely a pipe dream, it’s nice to know that a Cartier Christmas is possible, right? 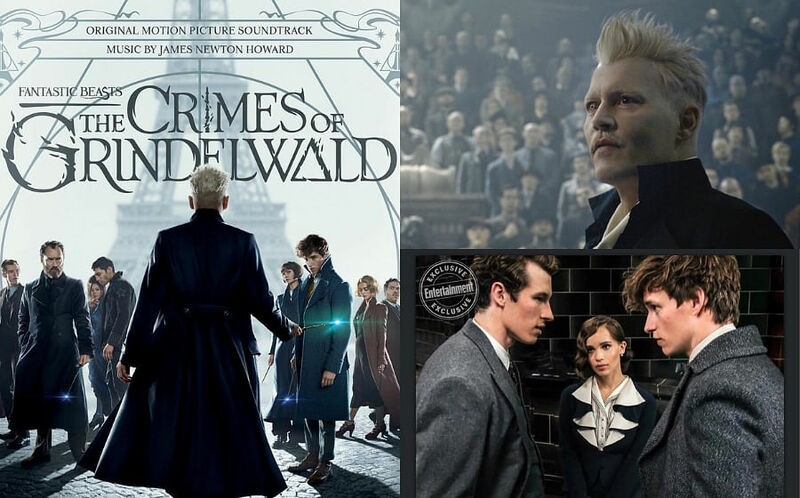 The installation will be available at Ion Orchard from now to 1 January 2019.